Chelsea and West Ham have completed the cast of teams in tomorrow’s Carabao Cup quarter final draw after the two London clubs won the remaining fourth round games on Wednesday night. Chelsea overcame Everton as expected, but an incredible turnaround saw West Ham upset Spurs at Wembley Stadium to put them in the bag for tomorrow. Seven of the eight sides remaining are Premier League clubs, with Bristol City the sole representative of the EFL Championship. 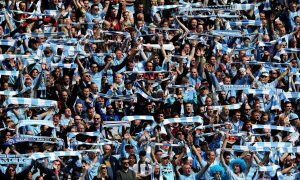 Potential matches for City include a Manchester derby or big all-Premier League clashes against the likes of Chelsea and Arsenal. Here is the full list of clubs in tomorrow’s draw, which will take place at 4pm BST. Who do you hope to see City draw in the Carabao Cup quarter finals?